Have you noticed how some of your toughest, least technical and yet most valuable customers always want to phone in for help? Combine Toky’s phone system with co-browsing to take calls and see their screen in one click to guide them. You'll ENJOY helping them because it’s a match made in heaven. How would Toky work with Upscope? While live chat systems focus on text chats, Toky focuses on talking to your customers using VOIP technology. To most businesses, the most visible part of Toky would be their call button that you add to your website. You can see an example on their home page. What does Toky integrate with? Give their designer an award because it’s a stunningly clean looking website. Have a look at their integrations. 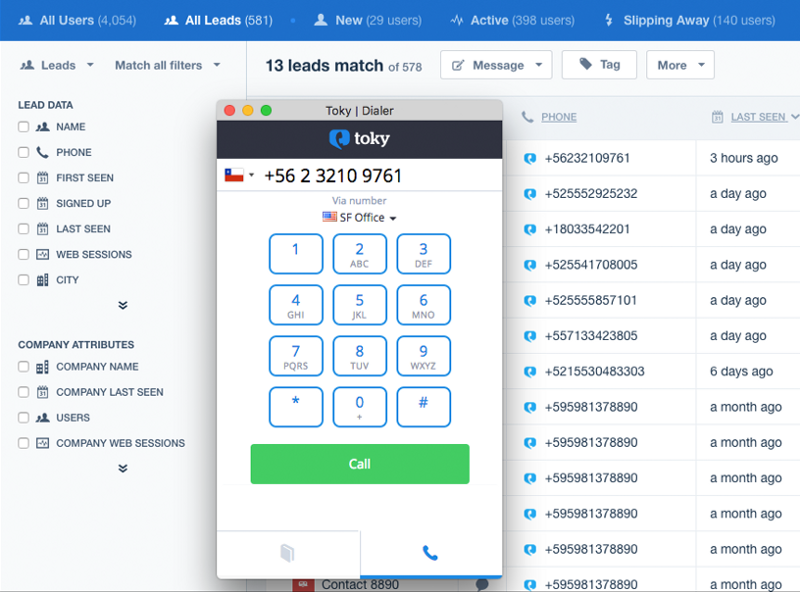 The Toky team use Intercom live chat and so do we, glad to see that integration option is there. Lets see how that would work. Once you install Toky you can call people directly from the Intercom user list. 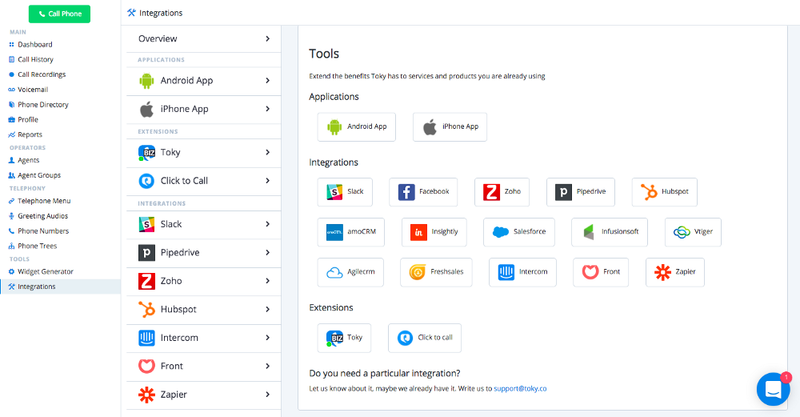 They also have integrations for Slack, Pipedrive, Hubspot and more. In short, skip the dialling bit and click to call. Go to the bottom of their home page to see a list of links to individual pages for each integration. How would it work with Upscope? Upscope lets you click to see your user’s browser and then click to take control and guide them as they sit back. Upscope does not have built in live chat or a phone system. You’d need something like Intercom or Toky for that. While there are other programmatic integration options, you can add Upscope’s 4 digit phone support code to the website. When a customer calls you on Toky, ask them for the 4 digit pin. Enter that into Upscope and you go straight to their screen. Then, talk to them and take control to click for them to guide them through your site while they sit back and chat. It’s magic and it’s beautiful. If you want to see co-browsing and voice calls in action, book a demo.